Angler's name – Gavin Kelly. Skippers name – Gary Hoff. Boat Name – "Screamin Hoff". Lure - JB Big Dingo. Capture Date – 10th Feb 2018. 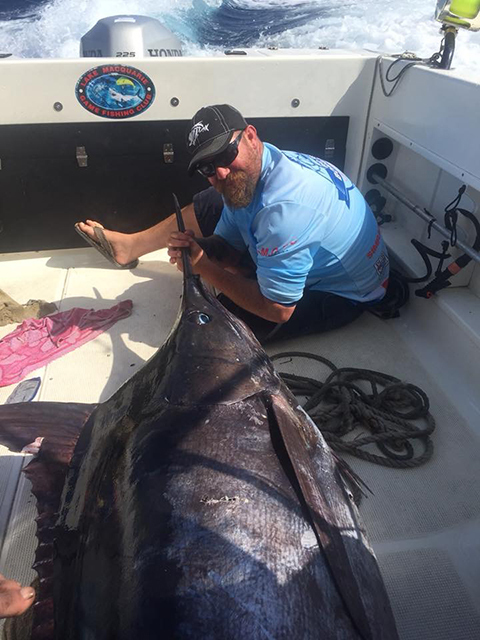 Comments – 2018 Big Fish Bonanza Lake Macquarie GFC, Heaviest Marlin - 175.5kg Blue Marlin.